CommunicationsExpert was formed to offer a unique reference point on expert advice on successful communication. The world of communication, particularly phone and email, is now part of our day-to-day lives. Almost all of us make phone calls; many of us send emails; and millions communicate with letters. In return, we regularly receive phone calls, emails, and letters from friends, family, work colleagues, and businesses. Taken at face value, these methods of communication seem straightforward enough. Behind them, however, lie territories of complex technology, misunderstandings, unnecessary costs, unwanted junk mail, and even fraud. The CommunicationsExpert website explains these areas of concern and provides advice about successful communication. Anyone who has ever become annoyed trying to talk to a business on the phone, or who struggles to get their point over by phone or email, should read the articles on this site. There are also features that strip away the confusion about communication technology, and give advice about such topics as digital phones and VOIP (Voice Over Internet Protocol). We have commissioned the content of the site from experts in the field. Consequently, you can read trustworthy facts and help contained in more than fifty articles. 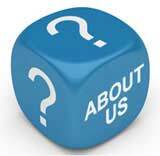 Browse the site now and benefit from our communication expertise. You're sure to find something that will improve your understanding and knowledge. CommunicationsExpert was founded by John Rowlinson, the founder of PtS. John, through PtS, is involved in a number of ventures including software and property companies. A percentage of revenue from these activities goes towards funding CommunicationsExpert and a number of similar sites.